some 26,000 poor people living in 200 rural villages in Kenya for a period of 12 years. 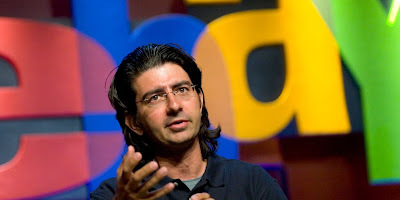 According to the Business Insider website, Mr. Omidyar will donate the money to the charity GiveDirectly, which is part of the Omidyar Network, as an experiment to see if giving people free money can help alleviate poverty, improve the economic standing of poor people and generally help them lead a better life. A Report also has it that the programme has already kicked off in one village and it intends to give selected people Sh75 a day for a period of 12 years.